What if you could wipe away all of the imperfections in your genes? Would you still be the same person? Or would you be something more? Category: graphic novels. Genres: Drama, Horror, Mature Content, Science Fiction. Concerning: genetics. 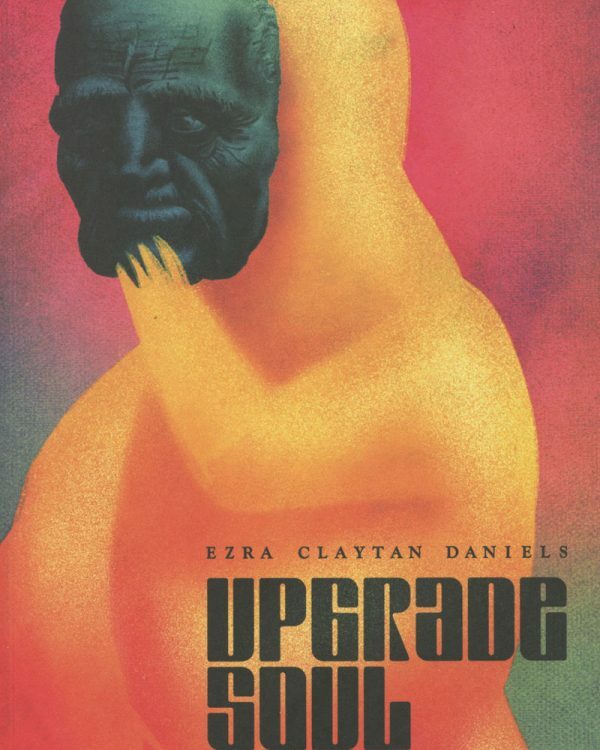 Upgrade Soul by Ezra Claytan Daniels is an award-winning science fiction tale about a failed attempt to make humans as perfect as possible. Dr. Molly Nonnar and her husband, Hank, volunteer to be the first human trials in the “Upgrade Cell” procedure, which claims to be able to clean one’s body of imperfections, allowing them to be the best versions of themselves. When the experiment fails, two versions of the Nonnars are the result: Hank and Molly are frail shells of their former selves, weak both mentally and physically. The newer versions, Henry and Manuela are small shapeless beings, who seem to grow stronger and smarter every passing hour. Surrounding these two couples are the rogue scientists who ran the experiment, lead by the over-confident Dr. Kallose, who is doing all of this to help his sister, who lives with severe disabilities. Every character has their own motivations, and their own criteria for judging the quality of their lives. When these values and motivations conflict with each other, the situation turns for the worse, and no one is safe. Ezra’s deeply researched, and layered drama raises a lot of questions about personhood, agency, and technology. Deeply unsettling, thoroughly charming, suspenseful, and cerebral, Upgrade Soul will keep you thinking and guessing up until the very end! Upgrade Soul was originally published digitally through its own app for mobile devices, which reacted to the movement of your phone, and featured limited animation, a sound track! Ezra then self-published three print volumes, before it was collected in this complete volume, published by Lion Forge.